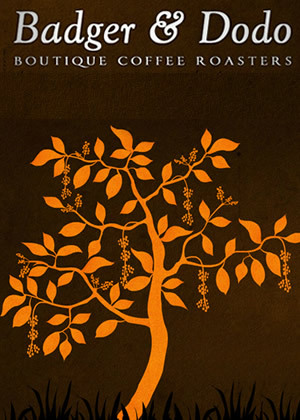 Fiji Coffee Bar have selected Badger & Dodo as their preferred supplier for freshly roasted coffee beans. Australian Brock Lewin is the Badger in Badger & Dodo. He first pulled a shot of coffee in 1993 whilst at Uni in Sydney – when big bubbly cappuccinos were cool. Since then he has studied coffee at university, managed cafes, learned to roast from an Italian Master Roaster, travelled to coffee estates and processing facilities, served on competition judging panels, been to zillions of trade shows. In 2008 he relocated to Cork city with his wife from Fermoy, and at the end of 2008 rebuilt their artisan roastery in Fermoy, Co Cork. Fiji Coffee bar are of course delighted to be associated with Badger & Dodo and we are committed to the high baristing standards recommended by them.